Kermodi Living Art: Recharge on the grass? No, iphones don't grow from seeds (I wish! 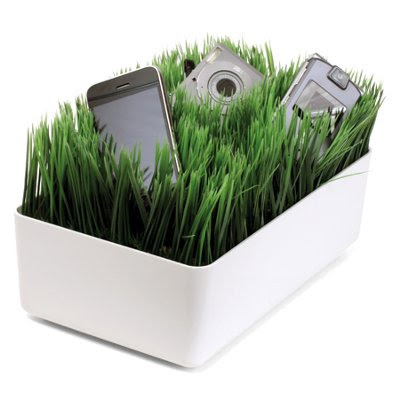 ), but even electronics like a good lounge on the grass (that might be a stretch...). Either way, you can charge your electronics and hide pesky cords with this recharger concept from Kikkerland.